Silver Dollar coinage at the Philadelphia Mint remained strong and steady through the first three months of 1873. On March 29 of that year, however, the facility delivered its final 11,500 dollars of the Seated Liberty design in response to the Mint Act of February 12. This brought the total for the year to 293,000 pieces, the lowest Philadelphia emission since 1868. 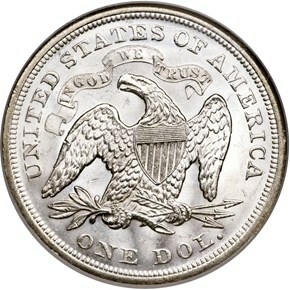 The Mint melted many 1873 Seated dollars to provide bullion for its initial delivery of Trade dollars. 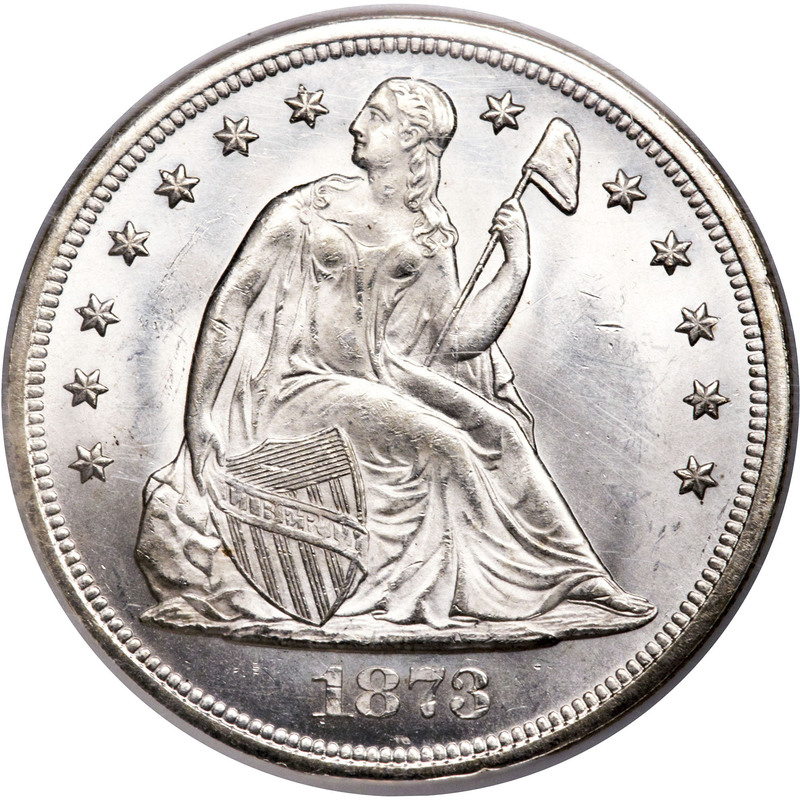 As a result, yet not widely recognized as such, the 1873 is an elusive issue that is particularly rare in the finer Mint State grades. 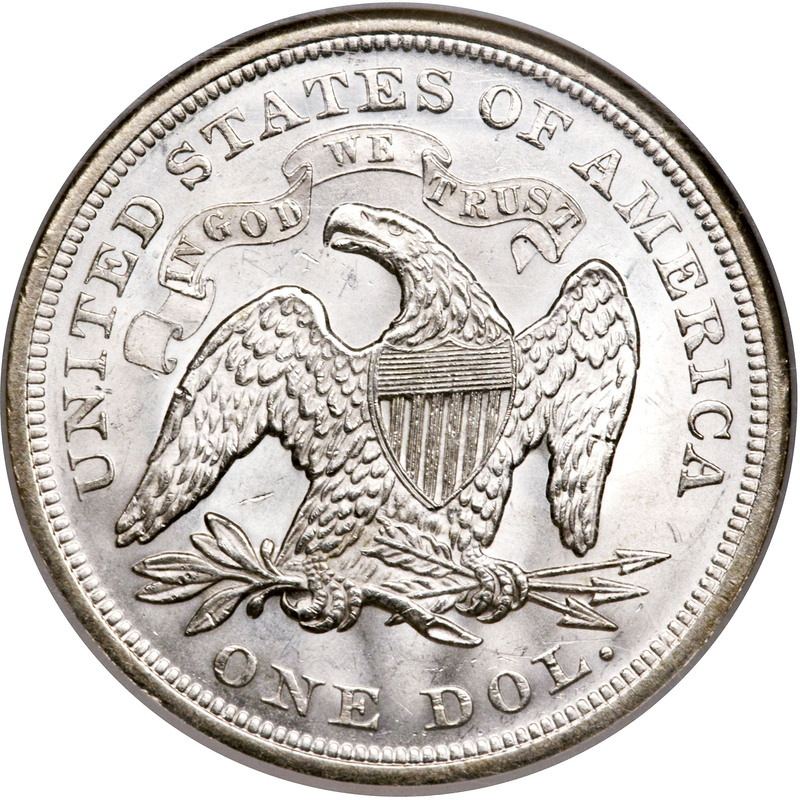 In fact, the Seated Liberty dollar type, whether Motto or No Motto, is rare at the MS65 level. A number of Mint State 1859-O and 1860-O dollars are known, but these are almost invariably bagmarked. Mintages for the series peaked in 1871 and 1872, but those issues were extensively exported to the East and melted.